When I was in 8th grade, we read S.E. Hinton’s The Outsiders, then took a field trip to see the Francis Ford Coppola adaptation. Back in class, I was alone in arguing that the movie was superior (the argument was a formative experience.) I sensed, even if I couldn’t quite articulate, that Coppola had used the book as a mere starting place for his own vision. The film’s dialogue is just as trite as the book’s, but the images are more powerful than anything Hinton achieved – some are still with me. My classmates and teacher argued from a position of comparison – how faithfully had the movie translated what was on the page? They all missed the point. Coppola could never have made his version of The Outsiders today. Entertainment reporting and popular discussion has devolved, via the Internet, into minute-by-minute gossip about franchise film production, from script development and casting onward. Reviews are beside the point now – all anyone seems to be interested in is “how close will it be?” I heard a story about a high school student who was upset to be given a summer reading assignment, John Green’s The Fault in Our Stars. It’s a short read, but never mind – he decided to watch the movie instead. It was a shrewd move, because Josh Boone’s adaptation is in some ways an admirable condensation. My classmates would have approved. Shailene Woodley, Ansel Elgort and Laura Dern are all far better than the movie deserves. Woodley is a major actress (so far, every bit the equal of Jennifer Lawrence – see Woodley in The Descendants and be amazed) who nails everything the script asks for. Unfortunately, she doesn’t seem to have been encouraged to go beyond it. They missed their chance. Green’s narrator is an extension of Green’s own voice, although based on an actual cancer patient he knew. Woodley is now playing those same notes third hand – I would have loved to see her bring some fresh inspiration. Elgort has the biggest challenge, because his character on the page is too good to be true. He’s exactly the same in the film, but the fact that Elgort comes even close to making us buy it is a major achievement. Laura Dern does great work as Woodley’s mother – we believe them together, and the identical upper-register screech in their voices makes them seem genetically related as well. Dern also has more opportunity to fill in – the film doesn’t give her as much exposition as the book does, so she’s more free to develop a lived-in character. Willem Dafoe almost has his moments as Peter Van Houten, the novel’s deus ex machina that never quite worked (Jonathan Franzen could have pulled it off, but Green isn’t in that league.) A braver director would have allowed Dafoe to put on some crazy, but you can almost feel the actor’s restraint, which doesn’t fit with his supposed drunken nihilism. Everybody else is from the ABC After-School Special residual casting pool, although Sam Trammell (as Dad) made me laugh when he worked up some tears, shining amidst his perfect TV-ready scruff. 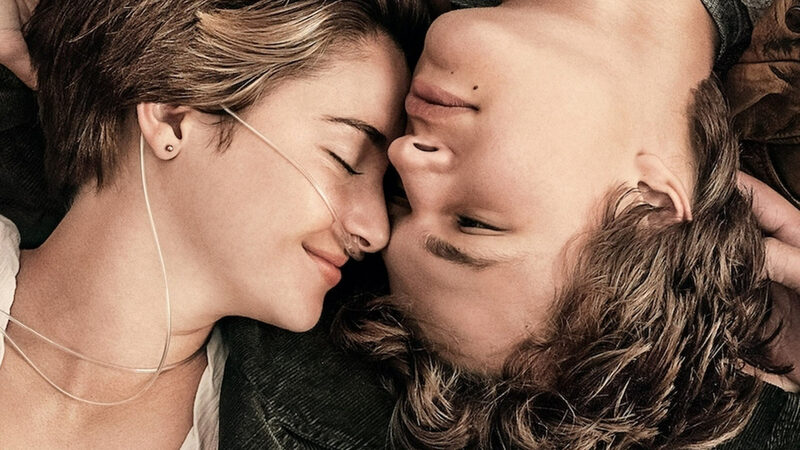 I would love to praise The Fault in Our Stars – I enjoyed the book, not least because it doesn’t feature zombies, vampires, dystopia, characters in spandex, guns, farts or comedic vomit. But the movie lover has to be honest – the masterful trailer hits all of the notes in just two minutes. Read the book, watch the preview, skip the movie.